The Office 365 SharePoint Online client performance diagnostic package collects information that can be used to troubleshoot SharePoint Online client performance issues. This diagnostic package also lets you capture a Fiddler trace of HTTP(S) traffic while you reproduce these performance issues. This diagnostic package uploads trace files of up to 2 gigabytes (GB) after the files are compressed. 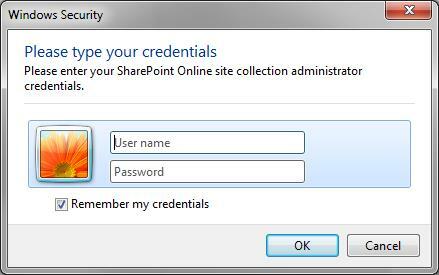 The rules in the diagnostic package require that you are the SharePoint Online site collection administrator for the SharePoint Online URL that you enter. This article describes the information that may be collected from a computer that's trying to connect to SharePoint Online in Office 365. The following data may be collected by the Network Capture diagnostic that's run by the Microsoft Support Diagnostic Tool. The files are typically large, and therefore the diagnostic may take several minutes to finish. After this diagnostic runs, the collected traces will be automatically compressed and then uploaded to Microsoft Support. A total size of up to 2 GB can be uploaded. If the results files are larger than 2 GB after compression, some files won't be uploaded and will be left on your system. In this case, you must contact a support professional to ask for an alternative way to upload the remaining collected information. The fiddler tracing output is described in the following Microsoft Knowledge Base article, Fiddler tracing of HTTP(S). To install this package, you must have Windows PowerShell 2.0 installed on the computer. For more information, go to the following Microsoft Knowledge Base article, Windows Management Framework (Windows PowerShell 2.0, WinRM 2.0, and BITS 4.0). Checks whether round-trip time between client and server isn't greater than 300 ms.
Checks whether Minimal Download Strategy is disabled. Checks whether Structural Navigation is turned on for a SharePoint Online publishing site. Information about Microsoft Automated Troubleshooting Services and Support Diagnostic Platform.